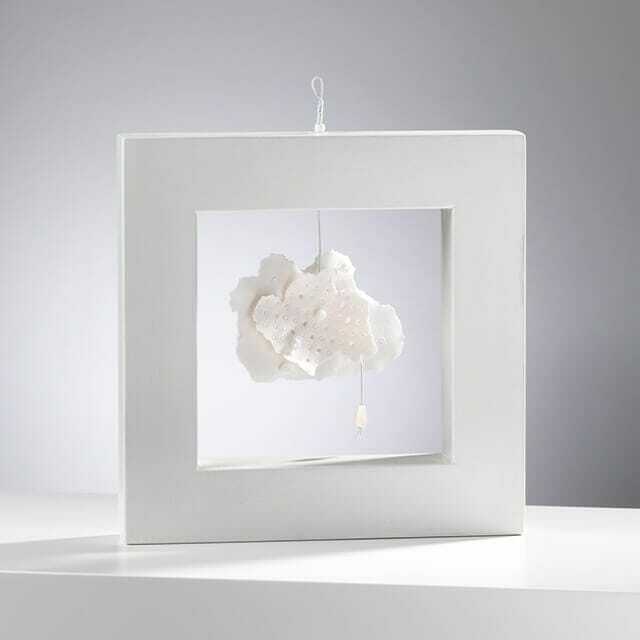 Delicate porcelain cloud sculpture decorated with glass beads, hanging within a wooden frame. 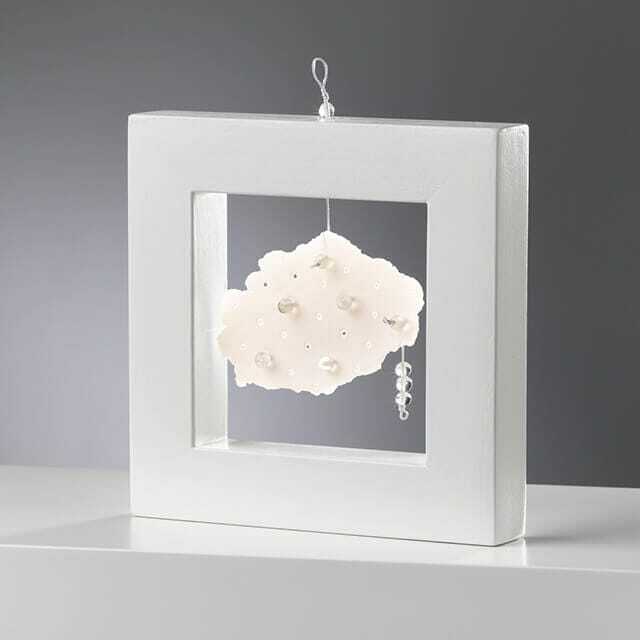 Lose yourself in contemplation of one of these dainty porcelain cloud sculptures, watching it gently move and spin on its wire as it catches any passing breeze. Carol loves working with porcelain, not least for its extraordinary translucent quality. Enjoy watching the light pass through and around this delicate sculpture, making the glass beads sparkle like raindrops and let your thoughts drift away.